Many skilled candidates, eager to migrate to Australia as a Permanent Resident, often have this question in their minds — What the Difference is between 189 and 190 Visa? This blog is to assist such candidates to utilize the details to take a mature decision and strategize their migration accordingly. Thus, planning their immigration move and applying for the right visa. Let’s check the two visas one by one and figure what the difference is between the 189 and 190 Visa! It is essentially a Skilled Visa for the skilled workers interested in Australia immigration with a job that’s in-demand in the nation. Also known as Skilled Nominated visa, as the name clearly shows, it requires nomination from an Australian state or territory government agency. While sponsorship is a mandatory requirement for this specific visa subclass, as per the requirements, it is also compulsory that the Visa Subclass 190 candidate resides for not less than two years in the nominated state. Australian states or territories offer nominations to those individuals who are experts in certain occupations that are in demand in that state or territory. If an individual’s nominated profession is listed on the CSOL but not on the SOL, then they require the nomination of a state to be eligible for a visa. If we talk about the difference between the Visa 189 and the Visa 190, well, there is not much of a difference. The application procedure, Australia PR Visa charges, and additional requirements are nearly similar for these. The only main difference is that for the Visa 190–as mentioned earlier–one requires getting state sponsorship. But there is no such requirement in the case of the Visa 189. Significantly, though the nomination for Visa 190 is not for the job offer in any particular state the candidate with nomination receives 5 points from the nominated state. Much like the Visa Subclass 190, the Skilled Independent Visa 189 is for those skilled workers who are keen to shift to Down Under and whose job profile is in-demand in the Kangaroo Land. Candidates–who are skilled professionals or trade persons with applicable work experience which will make handy contributions to the national economy of Oz–are entitled to submit an application for the Visa 189. Visa 189 Subclass is basically independent visa and, as mentioned earlier, the applicant interested in getting it does not require sponsorship. He may apply for it with the highest point score. In case he obtains the Visa 189, he becomes entitled to reside and do a job anywhere in Down Under. As mentioned earlier, the visa does not require any nomination from an Australian state or territory administration. 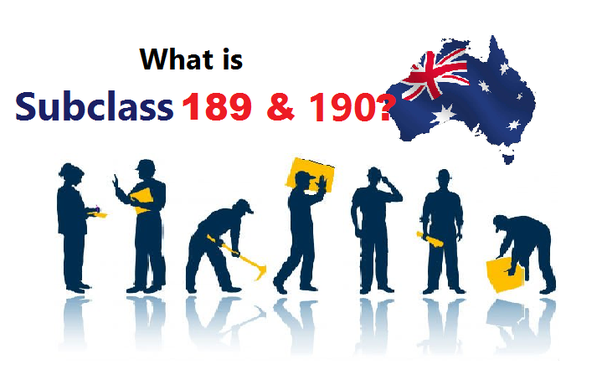 Another key difference with the Visa 190 is that unlike the holders of this Visa, the holders of the Visa 189 are entitled to stay and do a job anywhere in the Kangaroo Land. One hopes that by now you must have figured what the difference is between 189 and 190 Visa, right? To gather more details on the difference between Subclass Visa 189 and Visa 190, fill out the Contact Us form. Our Immigration experts will clarify your queries and provide all the details.